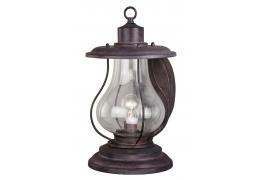 17-inch Rustic Outdoor Lantern Wall Sconce. 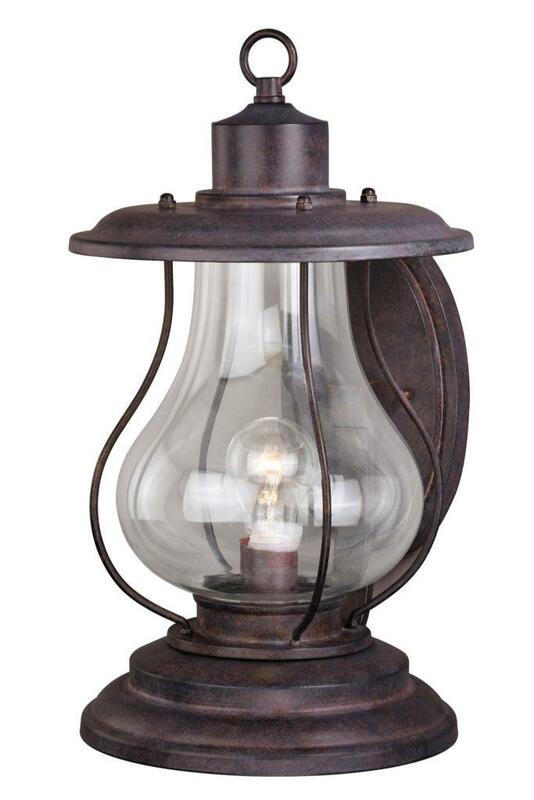 This light has a western lantern look. Takes 1 medium base 100 watt bulb. UL Listed for WET locations, and intended for hard wire wall mount.